Social designs for Amazon Prime originals. 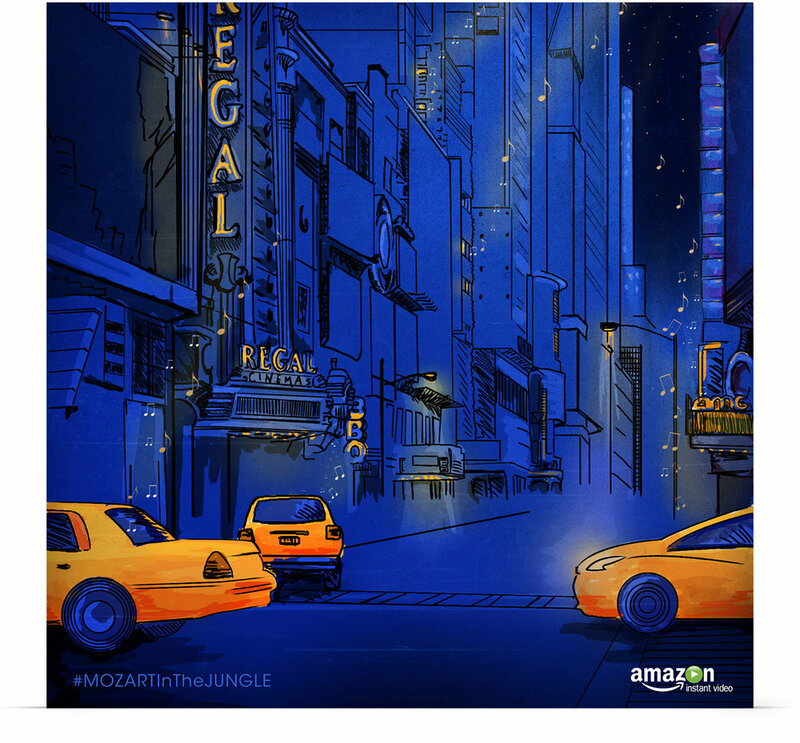 Transparent and Mozart in the Jungle are a few of the Amazon titles I have worked on throughout the years. Their social campaigns required lots of illustration, creative thinking and humor with quick turnaround times.